We are glad to announce that the latest version of Chronos eStockCard v3.5.0 is released. Now you can go to our download page to get the latest version. 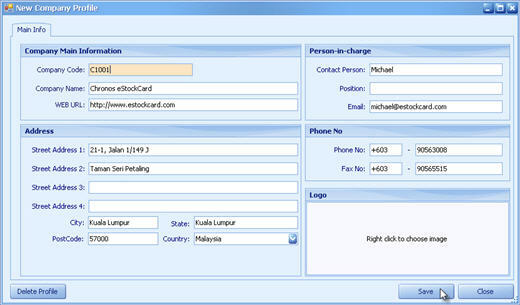 New eStockCard installation interface to simplify the installation process. Smaller setup file size to improve download experience. Add auto archive function in the eStockCard when the system hit 4G database size for SQL 2005 Express Edition. Besides, system will prompt the error message when hits the database limit. Add new reports – Storage Report, Sales Order Details Report and Purchase Order Details Report. 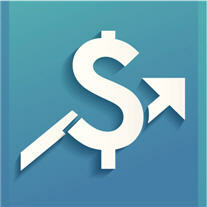 Improve User Interface for Main Menu – Inventory, Sales & Purchase. User can convert the Sales Order to Delivery Order without using the Picking List. Once the client connection to the server is disconnect, system will prompt the error message. The buttons under the report is hidden when the user click on the screen under the Sales, Purchase or Inventory module. The user/customer using the different version of the eStockCard to update their database. Thus the error will appear when perform the updating. Fixed the Auto Update function. If you encountered any issues with this release or you have any questions, feel free to contact us. Thank you. 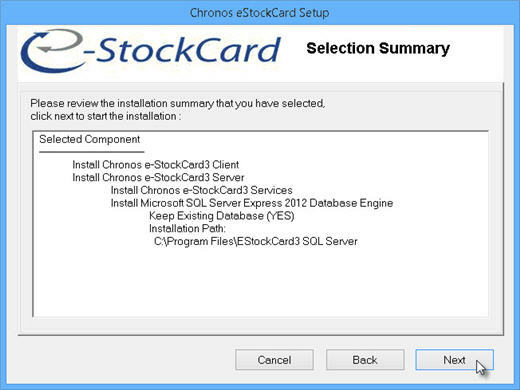 Do you know that it is really easy to install the Chronos eStockCard Inventory Software for the first time? Just follow the simple instructions here to get started and you would be amazed on how the installation would be completed by just clicking on the few buttons that appeared. 1. Run the eStockCard installation file. When you come to this screen, system will automatic select “Typical Installation > Stand Alone Version” by default. Click “Next” to continue. At this Selection Summary screen, you will be able to see the list of the components that eStockCard will be installed at your PC. Click “Next” to start the installation. Once the installation had completed, it will prompt you to create the “New Company Profile” at this screen. Just fill up the necessary fields and click “Save”. 4. Create Administrator user profile. 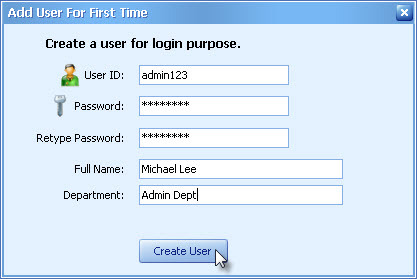 Lastly, create the User Login profile. Fill up everything here and click the “Create User” button and you are done. So, isn’t it just that simple and easy to get started? 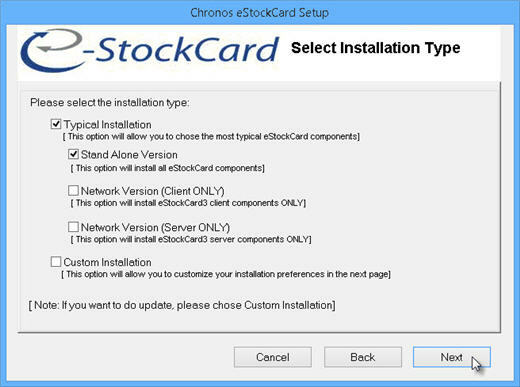 Download the Chronos eStockCard Free Inventory Software today. To all our esteemed customers and users, the eStockCard team is regret to inform that with effective from end of March 2014, there would not be any technical assistance for any bugs fixing or new enhancement for the eStockCard which run on Windows XP. However, the customers could still use the eStockCard which runs on Windows XP without any supporting from the eStockCard. Thus for the existing customers who wish to continue to receive the latest updates and enhancement on the eStockCard, we would suggest them to migrate their Window OS from Windows XP to Windows 7. Click this link here to download the latest version of Chronos eStockCard Inventory Software. Thank you. All organizations with inventory are finding themselves working in confines space and money constraints. Thus finding the correct racking would increase space utilization, easy accessibility to the inventory locations, handling time and able to pick order within minutes. Inventory is also prevent from damage when it is moved from the respective spaces. The most common racking available include: push back rack, selective, drive in racking, pallet flow rack and cantilever. Each level in a Push Back Racking system holds a series of nested rolling carts which operate in a lane that slopes upwards away from the pick face. This rack acquired its name because the lift truck operator lines up in front of the first pallet and pushes against it, causing the first pallet to roll away from the pick face and expose the next cart. All carts are interlocked to prevent jamming and product damage. Push Back Racking allows you to store multiple SKUs on different lane levels, enabling easy access. Combined with proper warehouse management, you can maintain First In First Out (FIFO) by emptying the oldest lanes first. Selective pallets made up of vertical frames and beams that are arranged in single or double rows. It allows storing of different sizes and shapes of packaged materials and also easy, direct access to every stored load. The height between shelves can be adjusted based on the size of the loads and wire decking can be added to accommodate non-racking pallets. Labor costs are thus reduced as movement of pallets can be eliminated. Inventory control is also improved because it easier to view what is available. Drive in racking offers a high density of pallet storage with low selectivity. Consequently, it is ideal for product with a high number of pallets per SKU. When stock rotation is an issue, Drive In rack ensures that tunnels are fully emptied before replenishing. It is a LIFO – Last In, First Out high density storage system. Drive in racking systems efficiently able to store large quantities of loads by allowing the forklift driver to enter the rack system and place the load on structural rails. The lift truck can enter the rack from one side to pick up or pull out pallets because the pallets can slide backwards on a continuous rail. While forklifts can drive into the rack to access pallets 2 or more deep, the size of your facility may limit the depth of storage for a bay. In pallet flow racking, product flows back to a picking position and is easily accessible to the operator. The product is loaded from the back and picked up from the front. This system provides high density storage because every aisle can contain product with the same SKU. Pallet Flow racking is perfect for fast-moving product with first in/first out (FIFO) rotation. 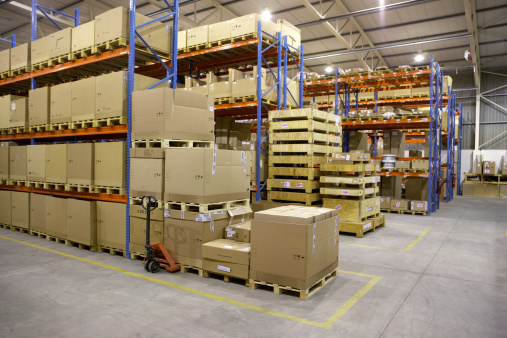 Plus, warehouse floor space can be maximized with fewer aisles by storing pallets back to back. The main parts of this storage system are static racks and dynamic roll tracks. The dyamic roll tracks are decline along the rack and used gravity to move pallets from one location to another. Each lane has brakes to control the movement of the pallets. Pallet Flow rack suits FIFO inventory systems as loads are moved from the loading to the unloading ends whereby the first load is removed first. It is also ideal when pallets must be moved from one area to another without fork lift trucks and thus more flexibility, lower maintenance costs and less damage to racks. Cantilever racks are faster to load and unload as they do not have any front columns. Thus they are useful for storing long or bulky loads. Loads may be placed anywhere along the entire length of a row and handling clearance is more abundant. 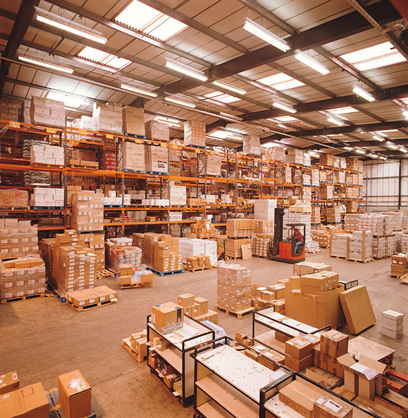 Check out Chronos eStockCard Inventory Software and see how our software can help to improve your warehouse operation. Inventory software system may help in monitoring and controlling the inventory in your organization. 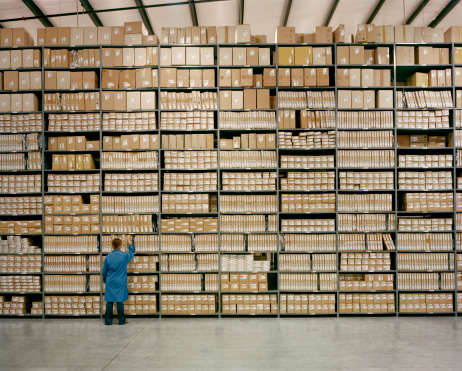 However you may wonder which inventory software is the most suitable one? By considering all the issues, controlling inventory is usually a complicated and absolutely vital job for every company whether big or small. 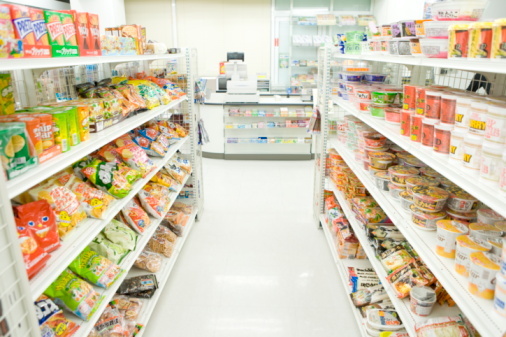 For example, let takes an normal convenience store which are available in any locations in the country today. Quite a number of convenience stores are usually run by single owners or small chains. They need to lower their costs in order to stay competitive, thus usually they do not have any extra the resources to handle their inventory in properly manner. For them managing inventory is a major tasks and waste of time. Majority of the convenient stores carry at least around two thousand items of inventory. New items tend to be introduced by vendors on a weekly basis. Further to that there are hundreds of special offers for the stocks to be administered and real income possibilities are available through them. However handling the stock quantities and margins are difficult enough to be handled. With about two thousand items on hand, overstocking and under stocking issues tend to arise. Shrinkage can be difficult to be identified when there are too much inventory around and damage goods bound to take place. Today, items might also become expired on the shelves before it can be prepared for delivery. So your capitals are then sitting on your shelves gathering dust and unable to go to work in the rest of the organization. When consider inventory software for any organization, there are a few things which are essential. First, the inventory software should be able to monitor stock at item level which would present you with the right information to get rid of poor performing stocks and enhance inventory quality consistently. You also need to view the stock levels to prevent over stocking and under stocking. And you’ll need to be to view the comprehensive data you require immediately in accordance with actual demand. Inventory administration involved a large activity and your inventory software must automate the procedure thoroughly to do it as best as possible. Chronos eStockCard Inventory Software can help you to solve all the problems mentioned above, check out Chronos eStockCard v3 Warehouse Edition for details. 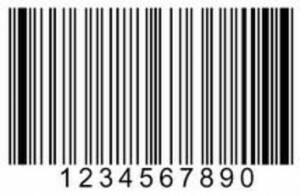 Most computerized inventory control software come with barcode capability either included or as an add-on feature. Storeroom supervisors can use barcode technology to receive and retrieve their inventory easily.